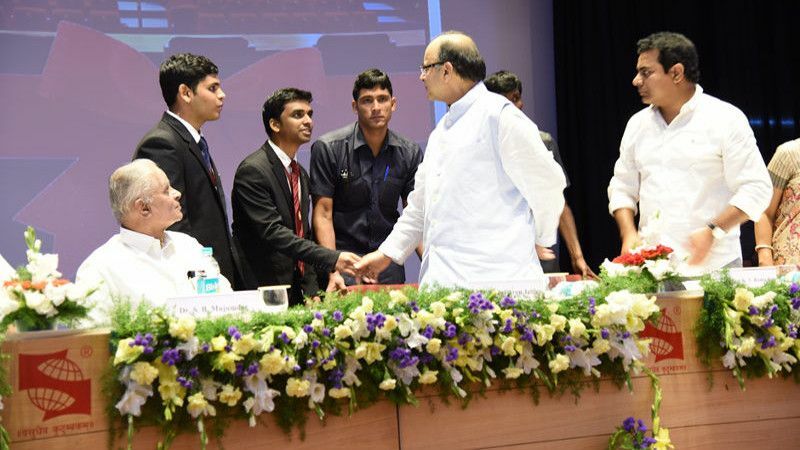 CSBI, a Cell run by the students of Symbiosis Law School, Hyderabad that aims at developing the entrepreneurship and innovative skills in the field of business. This provides a forum for students to share their ideas, knowledge and experiences. They supplement academic life by helping students to continuously learn and improve themselves so as to make them ready for the rigor of the industry. This cell helps to build the students competencies by organizing workshops, knowledge sharing sessions, Competitions, industry interactions and case study solving sessions among others. 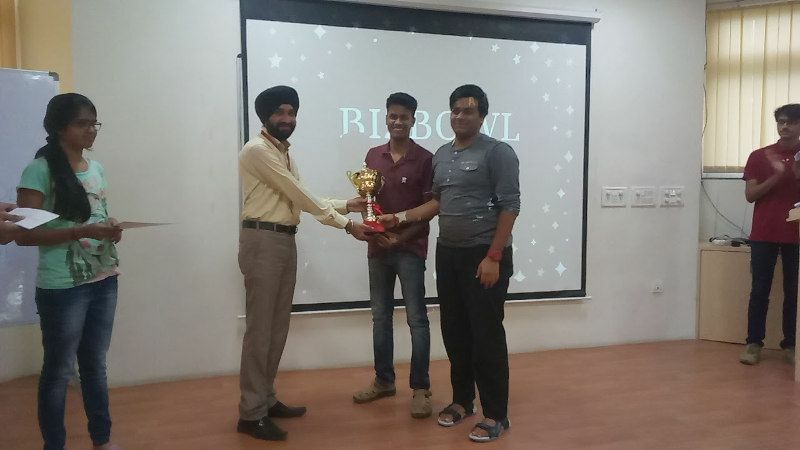 On 20th of September 2016, CSBI conducted its first event, BIZBOWL with more than 60 teams facing of each other in 5 Rounds. With over 1000 Tough questions being asked in a Span of 3days to over 120 participants it was indeed a success. The Director of Symbiosis law school Dr. M I Baig inaugurated the event which was followed by a fiery session of quizzing by Dr.Prageetha G Raju. The Finals was hosted by the student in charge P. Chakradhar Reddy and K. Mukendu Kaushik. The winners took home a cash prize of Rs.1000/- along with a Grand Trophy. SCEI Hyderabad chapter was inaugurated by the honorable Finance Minister of India Shri Arun Jaitley and Kalvakuntla Taraka Rama Rao Is a brain child of CSBI and its founders. Both CSBI AND SCEI Hyderabad Chapter are run together even though they exist as a separate entities. While CSBI focuses on the needs to students of symbiosis law school, SCEI caters to the symbiosis university as a whole. With the Success of Our First event we are formulating a plan to reach national level under the new found leadership of Dr.Prageetha G Raju and also contribute to the rural society through various path breaking ideas given by our students.